Complex data analysis is revolutionizing how we understand the world around us, and many companies are searching for talented professionals who can bring these skills to the workplace. A Graduate Certificate in Data Science can give you the credentials you need to upgrade your skill set or explore a new field. And you don’t have to have a background in computer science or statistics to get started. Our 15-credit Graduate Certificate in Data Science is a fully online program designed for the working adult with a college or graduate degree who wants to expand their skill set. Upon completion of our program, you will receive a notification on your transcript and a certificate you can display to showcase your skills. **All terms are eight weeks except Fall 2019—Start 2 which contains an additional week to accommodate the Thanksgiving holiday. All courses are fully online and are designed for working adults. You can start the program at six different points throughout the year. 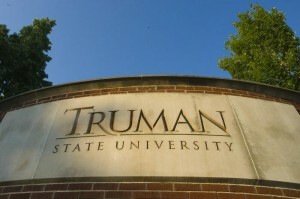 Truman’s tuition rates are among the most competitive in the Midwest — and for this program, you pay the same flat rate regardless of where you live. Learn by working with authentic data sets and projects relevant to your own field. Depending on the point in the year you start, you can be done in as little as 40-45 weeks. Our 15-credit hour program includes five required courses, including a capstone experience. Courses are taught in intensive, eight-week terms. You take one course at a time and move quickly from topic to topic. The curriculum is designed to help you demonstrate mastery of concepts through adaptive learning technology. You’ll develop projects that are relevant to your current job or the one you aspire to. What’s more, you’ll finish your program with a capstone focused on applying your data science skills to your field of work. Our courses incorporate a system of digital badges that highlight the specific skills you’re acquiring as you progress through the program. These badges give you tangible indicators of success within each course that can be useful when interacting with a current or potential employer. Digital badges can be displayed on LinkedIn as well as your online portfolio. Our faculty, along with an Academic Success Mentor specifically assigned to support you, will keep you on track. Many jobs require specialized coursework or training, but not every job requires the cost and time of an advanced degree. Graduate certificates – particularly online certificates – are perfectly designed for the working adult with a college or graduate degree who wants to take specific courses that will allow them to take their career to the next level or to pursue a new role in the workplace.